Viewing topic "No Yamaha iPad apps for Australia?" 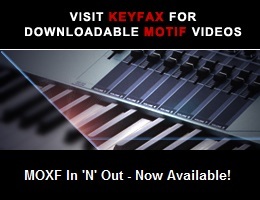 I’ve been patiently waiting for the iPad apps for the Motif XF to be released after Yamaha announced them in January this year. To my excitement they were released last week, but to my bewilderment they are available to Europe and the US but not Australia. 1. Does anyone know if there is actually any difference between the apps available from the US and Euro Apple stores? 2. Does anyone know anything about an Australian release date. I’ve sent and email to Yamaha regarding this but have (so far) received no reply. Hi Rod, I also live in Australian and certainly share your complete disappointment. We here in Australia seem to be so far backwards from the rest such a Europe and the US. Let’s hope that we’ll get to see these apps on our Apple App Store.